3- freezing the ice cream, gelato and sorbet. FREEZER, high performance, equipped with stainless steel turbine three-spoke plastic scrapers easily replaceable and long lasting, with self-adjusting spring load. 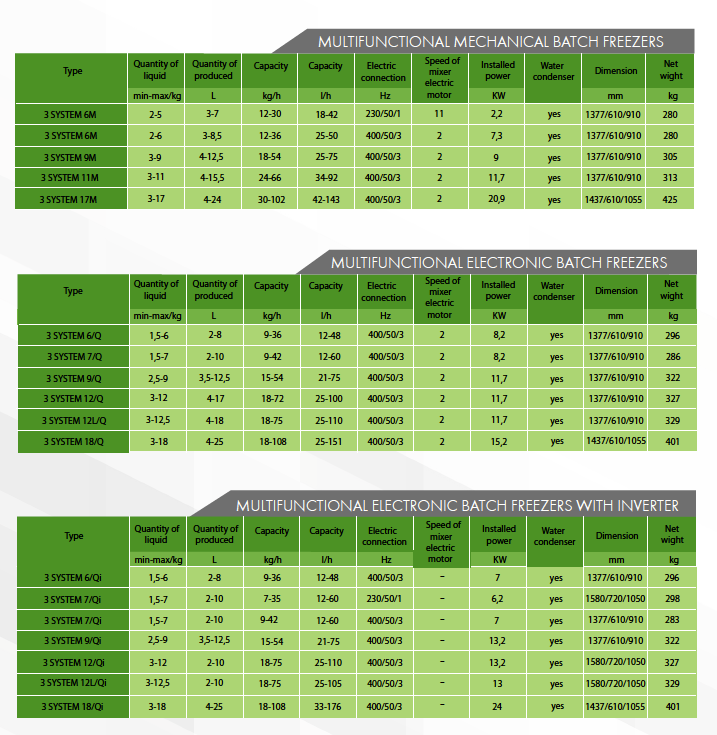 The hot mixture passes from the pasteurizer to batch freezer, where it undergoes a thermal shock, and in a few minutes is cooled to + 95 ° C to -10 ° C, passing directly from the liquid phase to the phase of creamed. This process takes place inside the cylinder, without external manipulation or picking and passing in dry (as in the system pasteurizer + batch freezer) and therefore always ensures perfect hygiene ice cream. There are no dead time, because at the same time 3 System heats and freezes, with the same time; so every 10 minutes a cycle is completed. The passage of the mixture from the pasteurizer to batch freezer is through a faucet and a stainless steel tube of external connection. 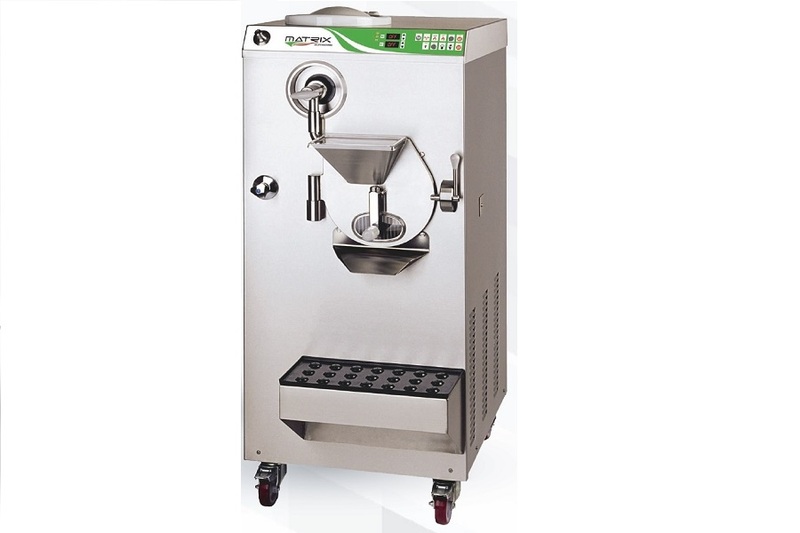 This solution allows to use the pasteurizer also for the preparation of blends for use in other ice cream machines, such as for example a batch freezer already present at the side of 3 System.